The Rising Kashmir's editor-in-chief was one of our bravest journalists. He lived up to his name. An Arabic word, Shujaat means brave. 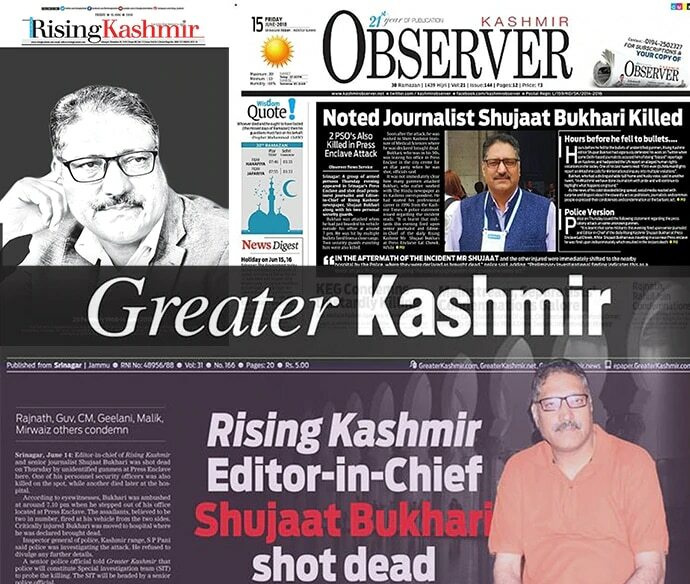 And veteran Kashmiri journalist Syed Shujaat Bukhari lived up to his name until his very last breath. A fearless professional and a true friend for all seasons, Shujaat is no more. The 50-year-old man — a truly towering figure with a husky voice, was silenced by unidentified gunmen on June 14, the last day of Ramzan. He was killed along with his two personal security officers — constables Hameed and Mushtaq, right before iftar, when Muslims break their fast. Shujaat was killed outside his office at the Press Enclave in the heart of Srinagar. It cannot be more dastardly than killing a man while he was about to break his fast. This killing is completely against the tenets of humanity, let alone Islam. On Eid ul Fitr, it has been a Moharram-like scene of mourning in Kashmir. While thousands of people attended Shujaat’s funeral in his native Kreeri village in north Kashmir on June 15, thousand others have been visiting the bereaved. It's not just the locals, even the mainstream media is shocked and deeply dismayed. In a tribute to Shujaat, the editor-in-chief of Times Now, Rahul Shivshankar, who was otherwise against the announcement of Ramzan ceasefire in Kashmir, has surprisingly made a pitch for its extension. “Extend the ceasefire… Seventy years ago India made a tryst with destiny that was forged on the back on a war against oppression and terror. Today, we must redeem that pledge if we want to honor the sacrifice the honor of Shujat and Aurangzeb, we must now resist the temptation of morphing into the unscrupulous enemy we are fighting to defeat,” Shivshankar tweeted. Bukhari, who was the founding editor of three local newspapers, including the popular English daily Rising Kashmir, had previously spent most part of his 30 years of professional career as the J&K bureau chief of The Hindu. A thorough professional, he was an equally prominent organiser of peace conferences and was also part of the Track II dialogue with Pakistan. A committed peacenik, he finally gave his blood hoping for peace. 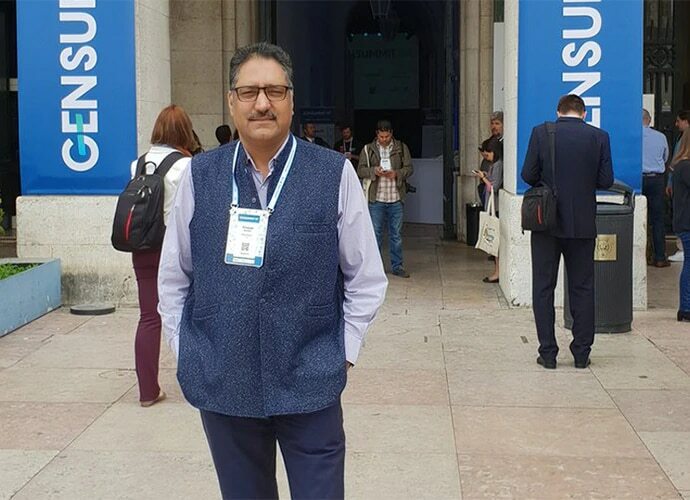 Although Shujaat’s elder brother Syed Basharat Bukhari is a senior minister in the PDP-led government in Jammu and Kashmir, the personal relationship never came in the way of journalistic duties. Once when Basharat’s cavalcade was stoned by protesters, Rising Kashmir was first to report it. In fact, the PDP-led government often choked government advertisements for Shujaat’s ventures, though such revenue is seen as a lifeline for the local dailies. But then, Shujaat had been braving all ups and downs, including previous attempts on his life and abduction too. It’s an open secret that in the past four years, the PDP-led government blessed some local journalists loyal to them including undergraduates, with high profile Z-category security cover. Yes, your read it right, Z-category security for undergraduate journalists. But this veteran journalist was left to be preyed on. The big question is — who killed Shujaat and why? It becomes more perplexing when key militant outfits like the Lashkar and Hizb are condemning the killing. While many mourners at the funeral believed that he had been a victim of “agency war”, no one is willing to name, which agency. In past 30 years of armed insurgency in Kashmir, killings at the hands of unidentified gunmen often end up as chapters of unsolved mysteries, including three previous attacks on journalists at Srinagar’s Press Enclave. Shujaat’s killing may only add to this list. Although the police have initiated a high-level probe, released pictures of suspects and even arrested one of them, many questions remain answered. While the police have a flying squad dedicated to surveillance at the Press Enclave, why was there no such security in place when Shujaat was attacked? While the Press Enclave remains a highly fortified area, including cops in civvies from the intelligence wing, why were such faces mysteriously absent when a volley of bullets pierced through Shujaat's body? As per the locals, it took the police some 20 minutes, a precious time to save lives in such cases, to reach the spot even though the police station is within a stone’s throw. Why? Also, why was Shujaat not provided adequate security when those close to the government are enjoying Z-category cover? If human life is precious, chief minister Mehbooba Mufti and director general of police SP Vaid owe Kashmiris answers to many such questions. As preparations for Shujaat’s funeral were underway, Rising Kashmir team brought out the next day's edition amid great personal grief and pain. The newspaper hit the the stands as usual with its front page dedicated to Shujaat — their editor-in-chief. “You left all too sudden, but you will always be our leading light with your professional conviction and exemplary courage. We won't be cowed down by the cowards who snatched you from us. We will uphold your principle of telling the truth howsoever unpleasant it may be...Rest in peace!” the newspaper observed. For his wife Tehmeena Bukhari and two kids, and the larger Rising Kashmir family, his death is an irreparable loss. Shujaat’s killing has given birth to Shaheed-e-Sahafat or "martyr to the cause of courageous journalism". Kashmir has lost a very professional journalist. An institution has lost its head. A family has lost its member. And many like me have lost an adorable friend. No power, no pen, can get him back. All we can do is pray. May Shujaat’s soul rest in Jannat Ul Firdous. And may those who killed him rot in hell.